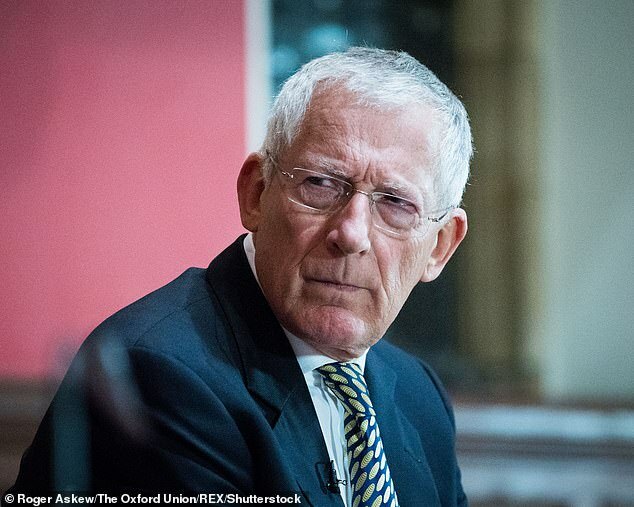 Nick Hewer has today relinquished his support for Labour after his Countdown co-host Rachel Riley was abused for speaking out about anti-Semitism in the party. The former Apprentice star said he was ‘astonished at the blunt assaults and trickster arguments’ aimed at Riley after she criticised Jeremy Corbyn over anti-Semitism. Riley replied: ‘Your leader has admitted you have a problem with antisemitism. One of your councillors is twisting my words to my employer to suit her own agenda. After the argument, Mr Hewer, who was an adviser to Lord Sugar on The Apprentice for 10 years and has been a Countdown presenter since January 2012, revealed he could no longer support Labour, despite voting for the party for more than 50 years. In September Riley was hit with a wave of vile abuse after daring to speak out against Jeremy Corbyn on anti-Semitism. The TV star, 32, was accused of being ‘brainwashed and thick’ after she tweeted links to a series of articles criticising his handling of the scandal tearing his party apart. But she vowed not to stay silent despite the insults – saying that it is important for moderates to ‘speak up’ for what they believe in. She wrote: ‘Much as I appreciate being called Tory, brainwashed and thick, I don’t have any party loyalties, I form my opinions based on available evidence.